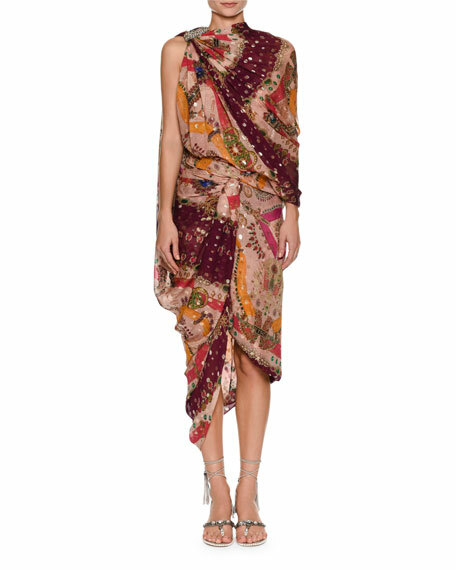 Etro printed dress with metallic flocking. High neckline with embellishment at side. For in-store inquiries, use sku #2433970.